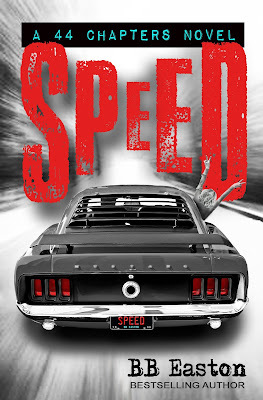 Check out my review of Speed by BB Easton. WOW!!! Speed is available now for only 99 cents! Don't forget to enter BB's giveaway for a chance to win a $20.00 gift card. Because BB Easton had so much fun writing her bestselling, award-winning memoir, 44 CHAPTERS ABOUT 4 MEN, she decided to give each of her four men his own steamy standalone! SPEED is the second book in the 44 Chapters spin-off series—a gritty, taboo love triangle overflowing with dark humor and tangible teen angst. It is based on a true story. After her possessive, psychopathic, rage-fueled ex, Knight, joins the Marines, sixteen-year-old BB is left trying, and failing, to pick up the pieces of her shattered heart. It isn't until she meets Harley James—an easy-going, tattooed mechanic with a face as angelic as his habits are sinful—that she learns how to live again. How to laugh again. But will she learn to love again? Over Knight’s dead body. I didn’t read BB Easton’s 44 Chapters About 4 Men, so I went into this spin-off completely blind, and I’m BLOWN AWAY! How is this the first time I am reading a book by this author? I own 44 Chapters About 4 Men and didn’t get around to reading it. 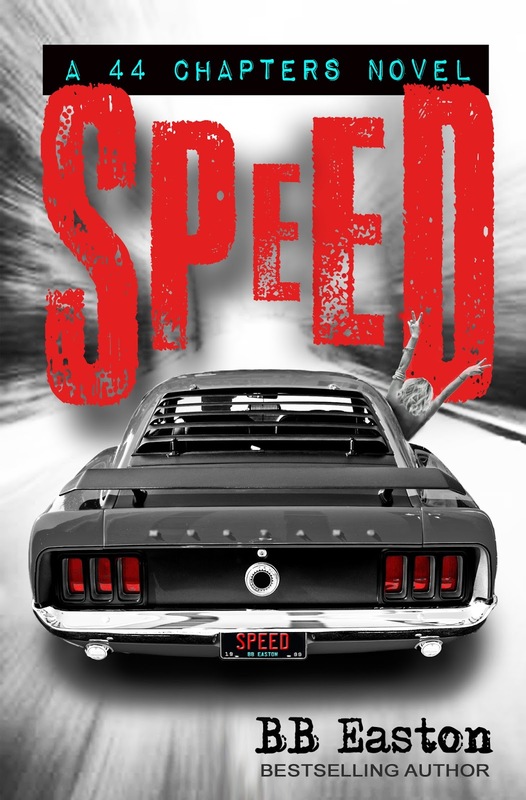 I'm pretty sure it’s a hidden gem that's been sitting on my Kindle I decided to read Speed and finally pop my BB Easton cherry. BB Easton’s writing is raw and insanely addictive. Speed isn’t your typical hearts and flowers romance. BB (Brooke Bradley James) is struggling with a mix of depression, destructive relationships, and bad choices. BB is a beautiful disaster, and her story plays out at full speed through a wildly vivid 90’s era backdrop. Like I said earlier, I’m blown away. I can’t wait to go back and start 44 Chapters About 4 Men. I love this author! I need more!!!! REVIEW & GIVEAWAY: Hot Stuff by Kim Karr is LIVE!